A nationwide measles outbreak has spurred new action in Washington state and elsewhere to eliminate exemptions for parents who don’t vaccinate their children. But experts say a hard-line approach could backfire. A growing measles outbreak linked to the Disneyland theme park has spurred action in Washington state and elsewhere to crack down hard on parents who don’t vaccinate their children. But experts who’ve studied the contentious issue worry such efforts could backfire. Gov. Jay Inslee and King County public-health officials lined up last week to support a last-minute bill introduced in the Legislature that would do away with Washington’s personal-belief exemption for required school vaccinations, leaving medical or religious exemptions in place. Rep. June Robinson, D-Everett, whose bill has 11 co-sponsors, said current practice “just makes it too easy” for parents to opt out of immunizations. The proposal echoes a California effort to repeal that state’s personal-belief vaccine exemption, a bill introduced the same day state health officials reported 99 cases of measles since mid-December, most tied to Disneyland. That number jumped to 103 cases Friday. 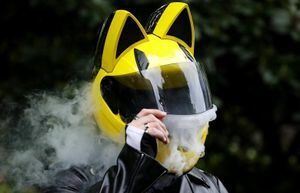 Dozens more have been reported nationwide, including at least four cases in Washington state. Two were tied to Disneyland. Doctors and other experts who focus on increasing coverage say that although lower exemption rates are the goal, the sudden surge in anti-vaccine scorn may hurt overall immunizations in the long run. Resistance to vaccinations isn’t always black-and-white, research suggests. Instead, there’s a spectrum of worry that may resurface strongly in the future. “The public mood may be able to pass these laws now, but the concern is when this currentdies down,” said Dr. Saad B. Omer, a professor of global health and epidemiology at Emory University, who has studied so-called “hot spots” of vaccine resistance, including several in Washington state. Anti-vaccination groups are vocal and powerful and blanket decrees might polarize already divisive positions, making vaccines “unnecessarily controversial,” he said. A 2014 study by Dartmouth University researchers suggested that repeated pro-vaccine messages from public-health officials can actually create more resistance to immunization, not less. That’s a concern echoed by Dr. Doug Opel, a pediatrician and assistant professor of bioethics and pediatrics at the University of Washington and Seattle Children’s, who has researched vaccine-use issues extensively. 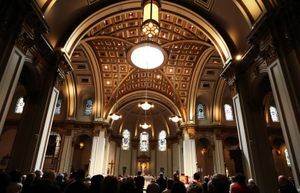 He said he is pleased at the introduction of House Bill 2009 to ban personal exemptions and at the rapid reaction to the Disneyland measles outbreak, which follows a year in which more than 640 cases of measles were detected in the U.S. — the most in two decades. Washington is one of 20 states that allow personal-belief exemptions, according to the National Conference of State Legislatures. Indeed, vaccine foes were quick to condemn the bill. “A travesty and a violation of informed consent,” is how it’s seen by Michael Belkin, an anti-vaccine advocate from Bainbridge Island who attributes his young daughter’s death to vaccine side effects. 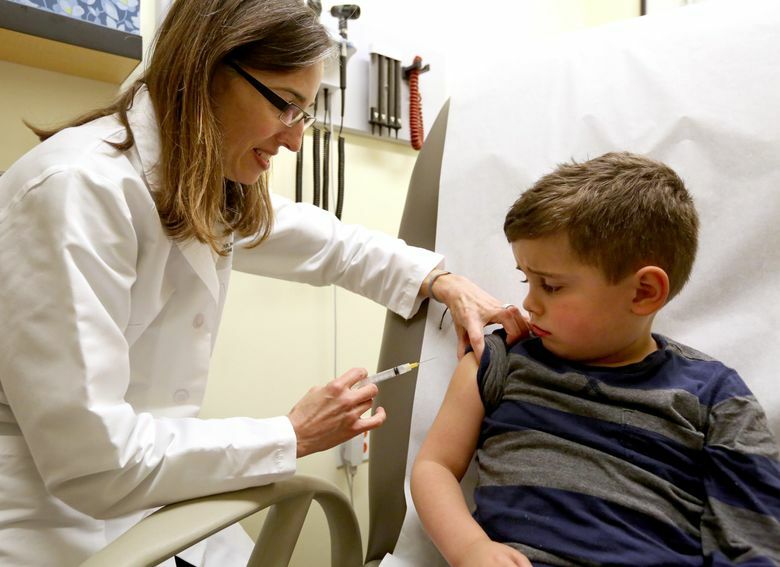 But supporters of the move to eliminate the personal-belief exemption point to figures that show 71 percent of Washington children have been fully vaccinated on time by age three. 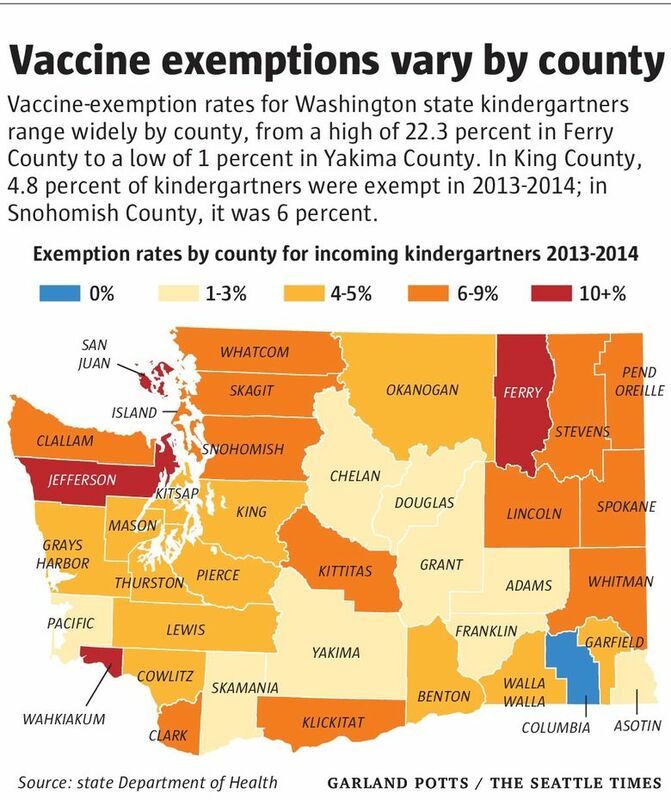 They note high rates of vaccine exemption in places like Ferry County, where more than 22 percent of school children aren’t vaccinated; Jefferson County, with a 14.4 percent rate; and San Juan County, at 13 percent. Even within areas with moderate rates, such as King County, with a 4.8 percent exemption rate, and Snohomish County, at 6 percent, individual schools can have rates that are far higher. At the Seattle Waldorf School, for instance, with 400 students, the exemption rate was nearly 40 percent in 2011 to 2012 — though officials say it’s lower now. Allowing clusters of unvaccinated children endangers the larger community by violating so-called “herd immunity,” the level of immunization required to prevent ongoing disease transmission. The levels required vary by disease, from as low as 75 percent for mumps to as much as 94 percent for measles, according to the Centers for Disease Control and Prevention. Herd immunity is vital to protect people who can’t be immunized, babies too young for shots, or people with cancer and other diseases. The current measles outbreak is evidence of what happens when herd immunity is broached, said Dr. Paula Lozano, a pediatrician and medical director of preventive care for Group Health Cooperative. Measles was effectively wiped out in the U.S. in 2000. But the solution, for Lozano and others, is not to vilify parents who are concerned about vaccinating their kids. Experts once thought there were two types of parents, those in favor of vaccines and those against, said Opel, the Seattle Children’s researcher. Vaccine refusers, people who simply won’t vaccinate their children, account for about 1 percent of all parents and their views are almost impossible to change, he said. Vaccine acceptors account for the vast majority of parents, about 70 to 80 percent, those who willingly inoculate their kids based on the advice of doctors and public-health officials. That group would include Victoria Reed, 31, whose 4-year-old son, Timothy, received scheduled diphtheria, tetanus and pertussis — DTaP — and polio vaccinations last week. “I am just doing whatever I can to keep my kids healthy,” said Reed, a mother of two and an executive assistant at Group Health Cooperative. But it’s the burgeoning group in the middle, the 20 to 30 percent of parents who are on the fence about vaccines, that worries Opel. “We think that group is growing,” he said. Those parents question the number and type of vaccines and the schedules on which they’re given. Some parents worry about the slew of recommended vaccines for very young children, and whether their developing immune systems can handle the load. Others are concerned about potential side effects and about possible links between vaccines and disorders such as autism, a view that has been thoroughly discredited. Lozano said she addresses parents’ specific questions, such as whether the antigens, the proteins in vaccines, are going to overwhelm a child’s immune system. In addition, some parents want to specifically choose which vaccinations their kids get, Lozano said. Some opt to skip a polio vaccination, for instance, because the disease was eradicated in the U.S. in 1979. Some parents, however, say they’re wary of vaccine manufacturers and experts — and because of the way their own kids react to the shots. Rhiannon Scriven, 36, of Spanaway, Pierce County, immunized her daughter, Taylor, with selective vaccines as a baby, only to discover that the child developed exaggerated reactions to the shots. Taylor, now 6, suffered high fevers, lethargy and hard knots that developed at the vaccine sites. For weeks after a shot, she suffered flu-like symptoms that worried Scriven. In consultation with her doctor, Scriven said she decided to forgo further vaccines. Scriven admits that fellow parents in Taylor’s public school have been critical, especially during the recent whooping-cough epidemic in Washington state. She’s concerned about the move to eliminate the personal exemption, because she has no plans to vaccinate Taylor, who probably wouldn’t qualify for a medical exemption. Scriven emphasized that she’s an educated person who has researched the issue carefully. Perhaps the solution should not be to do away with vaccine exemptions but to make them more difficult to obtain, said Omer, the Emory University researcher, who outlined his views in a recent New York Times opinion piece. Washington made such a move in 2011, with a law that requires parents seeking a personal-belief exemption to first get a signature from a health-care provider. That is credited, in part, with cutting the state’s school vaccine-exemption rate for kindergartners from 7.6 percent in 2008-2009 to 4.6 percent in 2013-2014. Parents could be required to write letters detailing the reasons their children should be exempt, Omer suggested, and the letter notarized. They should be required to apply for exemption every year, and to receive in-person counseling to ensure that the decision not to vaccinate is truly informed. His research shows that states that allowed philosophical or personal exemptions had rates of nonmedical exemptions more than 2.5 times higher than rates in states with only religious exemptions. Increasing requirements would allow parents with the strongest objections to still obtain exemptions, but it would cut down on those in the middle, boosting overall vaccination rates. That, Omer added, should be everyone’s goal. “(Eliminating exemptions) is very satisfying to people who are pro-vaccine, but it’s not the wisest policy for protecting kids,” he said.